A conservator in Colonial Williamsburg works to preserve paintings, weapons and many other artifacts from America’s earliest years. A young photographer who documents painstaking restorations at the Virginia Museum of Fine Arts. 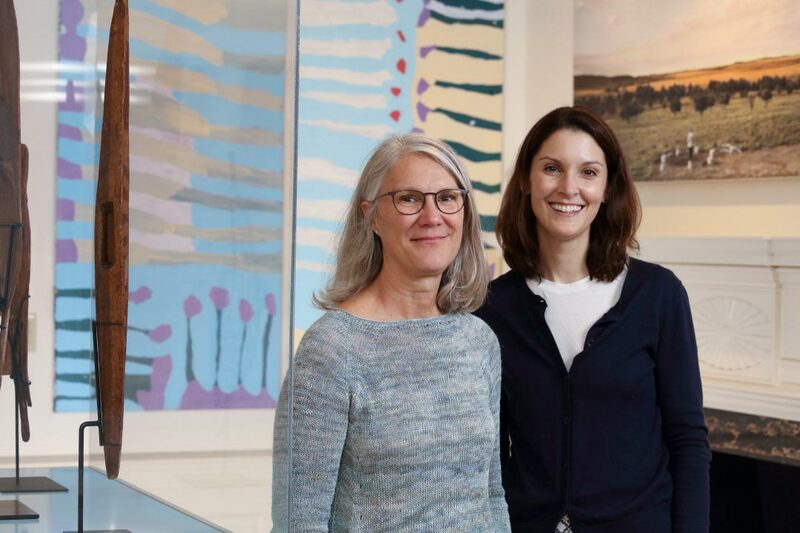 A consultant and veteran curator who, after a stint at the iconic Metropolitan Museum of Art, now helps other museums find their way. 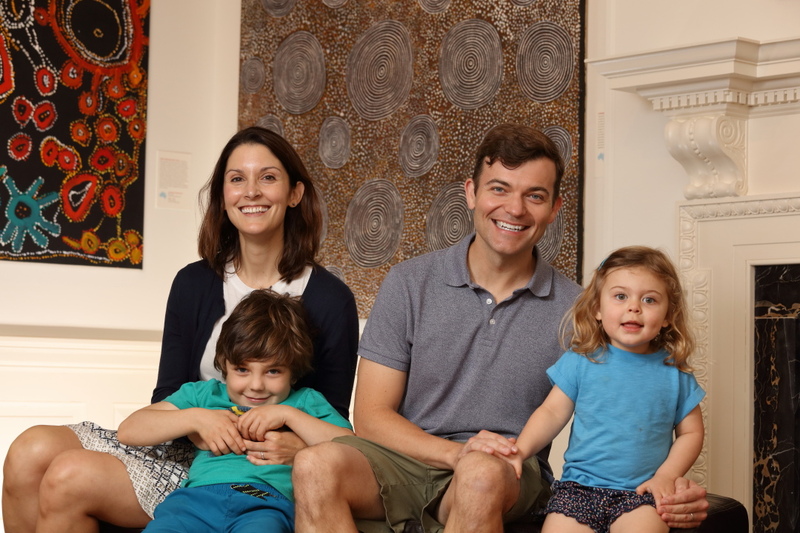 All of them got their start as student interns at the Kluge-Ruhe Aboriginal Art Collection at the University of Virginia, home to the most comprehensive collection of Indigenous Australian art outside of Australia. The museum, located on Pantops Mountain, regularly welcomes student interns who, as key members of a small team led by museum director Margo Smith, get hands-on experience planning, installing and presenting exhibitions; evaluating and conserving paintings and other artworks; and talking directly with guest artists and scholars. Students can pursue a paid summer internship through the Mellon Indigenous Art Initiative; enroll in the University Museums Internship program, a two-semester course with the opportunity to intern at Kluge-Ruhe or The Fralin Museum of Art at UVA; or simply volunteer at the museum. See how those internships set these three women off on paths they are still following – and loving – today. 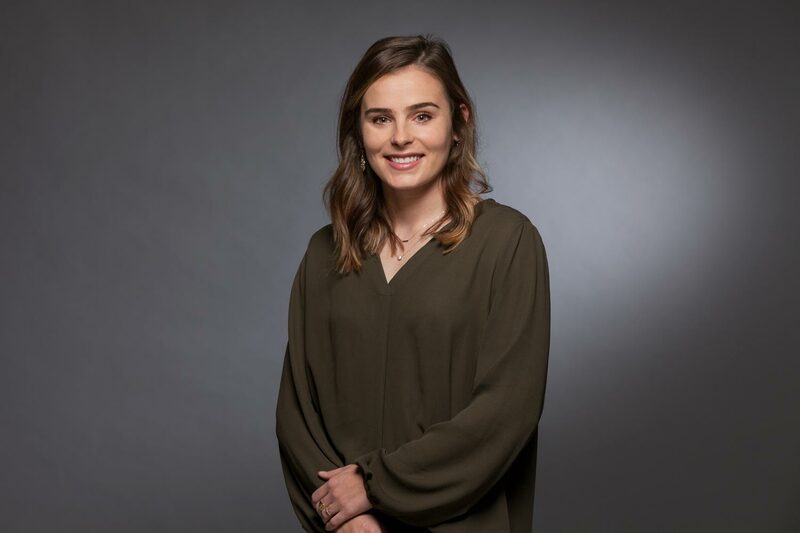 When art history student Kate McEnroe joined Kluge-Ruhe for the first of her two years as an intern, she knew little about museum careers. By the time she left, she knew she wanted one. Now, McEnroe is an assistant conservator at Colonial Williamsburg, a living museum to early American history. She works with a huge range of objects, from 18th- and 19th-century silver and porcelain to modern-day folk art. Right now, she is focusing on an exhibit of Revolutionary War weapons, a form of art she did not necessarily anticipate ever working with. She draws on what she learned at the Kluge-Ruhe nearly every day. “It taught me all of the foundational elements of conservation, how to examine something and assess its condition,” said McEnroe, who also traveled to Australia after her time at Kluge-Ruhe. She still remembers pouring over Aboriginal Australian paintings, or watching and helping as a conservator carefully restored a work of art to its original glory. Though it would mean a pay cut, Cannady decided to leave the business world and return to museum work within a few years of graduating from UVA. She got a job in the curatorial department of the iconic Metropolitan Museum of Art and never looked back. In the ensuing years, Cannady got a master’s degree in museum anthropology and found a way to blend her love of art with her business skills. She began working in fundraising and development at the Met and then founded her own consulting firm, Thrive Fundraising & Strategy, to help arts organizations and nonprofits raise and manage funds. She also found her way back to Australia, where she worked at an art center in an Indigenous community for six months, and to Kluge-Ruhe, where she now serves as a member of the advisory council. 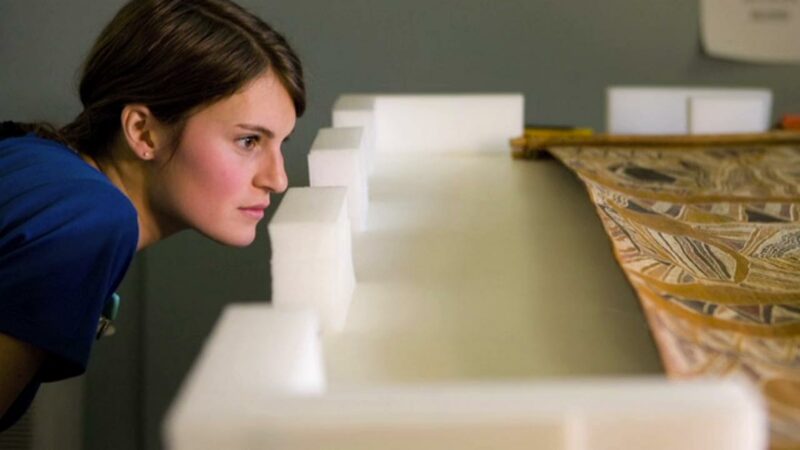 Sydney Collins, a 2016 art history graduate, now works at the Virginia Museum of Fine Arts in Richmond, photographing each step of the conservation process for the museum’s vast collection of paintings and objects. “I capture the process before, during and after,” Collins said. She also uses scientific imaging, such as ultraviolet or infrared imaging, to discern more about an artwork’s origins or any alterations it underwent. “Being a curious person, I love seeing what is beneath the surface of an artwork, and understanding how different mediums in the art interacted with variables in the environment,” Collins said. Before working at the VMFA, Collins spent six months at the National Museum of the American Indian in Washington, D.C., where she helped build out a database of the museum’s collections. In both roles, she has drawn on lessons learned at Kluge-Ruhe. In a few years, Collins hopes to return to academia for graduate school, specializing in either conservation or scientific imaging. “Working in museums and learning more about conservation has opened so many different avenues I was not aware of before,” she said.